Do You Want To Get Discounts Adventures and Products? 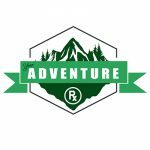 10% off adventures with Your Adventure Rx Adventure Travel Company and Your Adventure Rx MeetUp group (**see exceptions). Swag bag of goodies with a minimum of sticker and Rx adventure note pad. Members who have been with Your Adventure RX for 3 months will recieve a t-shirt. Other goodies may include: Other logo wear and promotional items, trail goodies, and discount codes to local and national organizations and businesses.